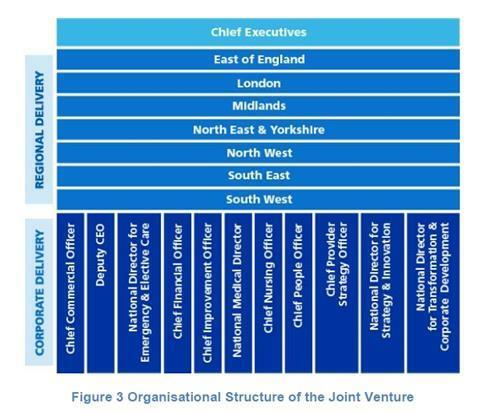 The two organisations today issued their proposed joint executive senior manager structures to staff for consultation. 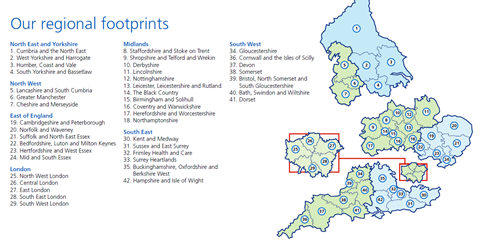 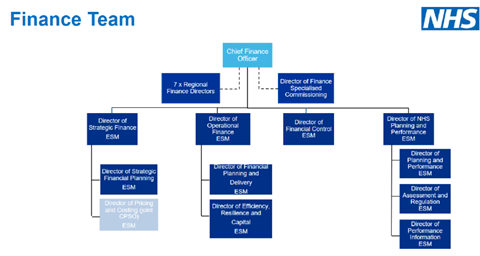 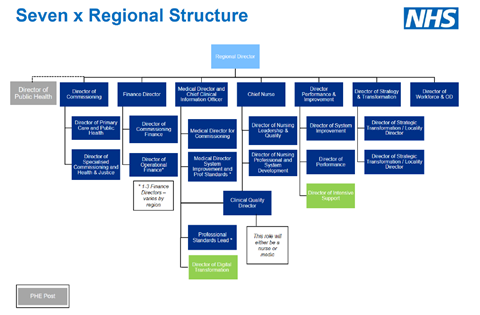 Below are charts showing the “NHS executive group” top team, the map and senior structure of seven new regions, and the senior structure of the 11 national “corporate teams”. 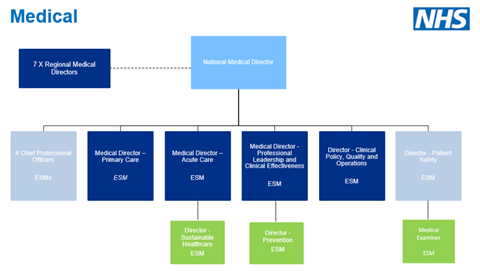 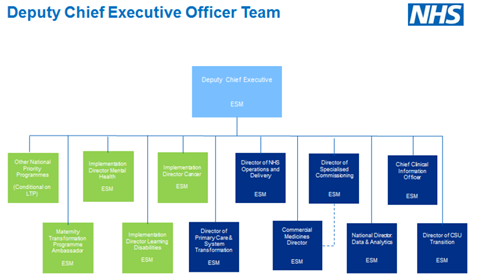 Not every executive senior manager post in the new structure is listed here, nor are most senior clinical lead roles, which are subject to a separate ongoing review. 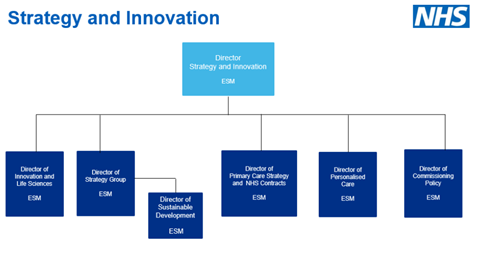 16 November 3.28pm: Updated to remove the “transforming how we work” document at NHSE/NHSI’s request.